Disposal of unused drugs, dangerous diet supplements and contaminated tattoo ink led the health and safety topics which most interested consumers in 2012. The Food and Drug Administration (FDA) reported these were among the top 10 most read topics on its Consumer Updates, which can be found on its website and are distributed through e-mail subscriptions. How to Dispose of Unused Medicines. Consumers should follow any directions on the label for proper disposal. Otherwise, most prescription drugs can be thrown in the trash, unless the directions specify they should be flushed down the toilet. Drugs thrown in the trash should be mixed with substances such as coffee grinds, kitty litter or leftover food. Consumers should also call their city or municipal office and ask about community drug take-back programs that allow the public to bring unused drugs to a central location for safe disposal. Read more. Mercury Poisoning Linked to Skin Products. Federal health officials warn consumers to beware and avoid use of skin products containing mercury. No product brand name was released, but consumers should check the product ingredients for “mercurous chloride,” “calomel,” “mercuric,” “mercurio,” or “mercury,” and stop using the product immediately. These products are manufactured in other countries and have been illegally sold in the United States. They have been found in at least seven states. Mercury poisoning can cause a wide range of problems, including memory problems, depression, tremors and changes in vision or hearing. You can suffer poisoning through use of these creams, as well as by breathing the vapors if you live with someone who uses one. Read more. HCG Diet Products Are Illegal. The FDA warns consumers to avoid unsafe “homeopathic” human chorionic gonadotropin (HCG) weight-loss products. HCG is approved by FDA as a prescription drug for the treatment of female infertility and other medical conditions, but is not approved for weight loss or over the counter treatment for any use. Read more. Warning on Hydroxycut Products. Consumers are urged not to use Hydroxycut products by lovate Health Sciences Inc., of Oakville, Ontario. The company agreed to recall the dietary supplements which were associated with a number of serious liver injuries. They are marketed for weight loss, as fat burners, as energy-enhancers, as low carb diet aids, and for water loss under the Iovate and MuscleTech brand names. Read more. Examining Arsenic in Rice: A Work in Progress. The FDA is studying the level of arsenics in rice and rice products, which includes rice as well as foods rice is processed into such as cereals, rice beverages and rice cakes. Arsenic levels have been found in various rice products, but the FDA is not recommending consumers stop consumption at this time. It is advising consumers eat a balanced diet containing a wide variety of grains. Read more. Tattoo Inks Pose Health Risks. The FDA is investigating after contaminated tattoo inks have caused serious infections in at least four states in 2011 and 2012, including in 19 people in New York and others in Iowa, Washington and Colorado. The agency is particularly concerned about a family of bacteria called nontuberculous Mycobacteria (NTM) that has been found in a recent outbreak of illnesses linked to contaminated tattoo inks. M. chelonae, one of several disease-causing NTM species, can cause lung disease, joint infection, eye problems and other organ infections. Read more. Triclosan: What Consumers Should Know. The FDA has engaged in a comprehensive scientific and regulatory review of triclosan, which has been found in many antibacterial soaps, body washes and toothpastes. The agency is not advising consumers to avoid use at this time, but states those who are concerned should check labels to see if it is contained in products they are using. Read more. FDA Expands Caution About SimplyThick. The FDA advises that infants may face an increased risk of developing a life-threatening condition if they are fed a thickening product called Simply Thick. The agency has identified 22 infants who have developed necrotizing enterocolitis (NEC) since May 2011, seven of whom have died. It says further study is needed to determine if there is an actual link between the thickening product and the condition. Read more. 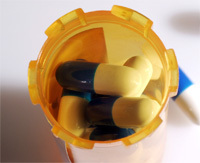 FDA Expands Advice on Statin Risks. Consumers who take statins to prevent heart disease are given new recommendations, including that cognitive impairment such as memory loss has been reported by some statin users. The FDA also says routine monitoring of liver enzymes in the blood has been found to be ineffective and is no longer needed. Read more. Treating Cushing’s Disease in Dogs. An overview of how veterinarians commonly treat the illness and what dog owners should know. Read more. The Boston personal injury lawyers at Breakstone, White & Gluck are experienced in handling cases involving product defects and medical device recalls. If you have been injured, it is important to learn your rights. Contact our injury lawyers toll-free at 800-379-1244 or 617-723-7676 or use our contact form.